The genius of having a wrap-up event at an airshow is that it punctuated how fast things are moving in the world of civic technology. The U.S.A.F. Thunderbirds made for a very entertaining show on the Atlantic City boardwalk, and GMIS International once again brought to the forefront the speed at which change is occurring. 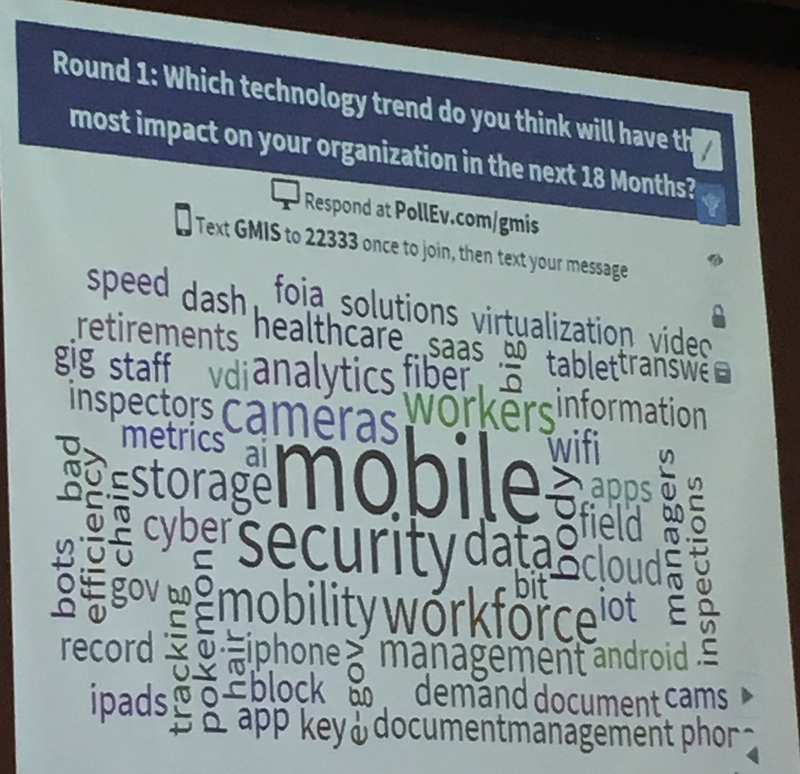 Taking from the word map produced at the Around the Horn Panel Session, it was clear that the technology trends affecting everyone where mobility and security, and it was openly discussed that this was closely tied the rollout of body cameras for police services. Technology has always been tied deeply with social change. Currently the ubiquity of mobile phones now allows the public to capture evidence of social injustice and call upon governments to make change happen. This drive for social change is leading to policy and legislative decisions that will see more police officers wearing body cameras. Those cameras will be collecting, streaming and storing data at a huge rate, taxing civic networks in a way that has not been previously contemplated. It will take a smart city to be ready for this challenge. A number of government services may have to be cut to pay for these social and technology demands, making the burden of finding efficiencies in how government operates all the more important. The Uberfication of government has arrived. Processes and job roles once thought to be the sacred cows of government, such as data entry specialists and filing clerks are going to get replaced by apps and processes that empower government workers to solve public issues quickly, allowing the internals of government to run more efficiently and afford the costs of social change. Our contribution to these smart cities is in mobile apps for government field workers. Inspectors, by-law officers and public works managers can all be connected through a single secure app to the correct permitting forms electronically and conduct their business in an offline or online fashion, and then transact their locally verified data without having to return to their office. 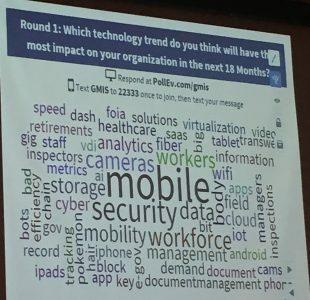 By focusing on the processes that are most frequently conducted in the field, and that often require multiple site visits or multiple applications to be used simultaneously, we can make mobile government workers more efficient. Contact us – we’ll be glad to walk you through how your mobile government workforce can be more efficient.